The military is often referred to as the only competent institution in Pakistan. Leaving aside debate about whether this is a fair assessment, there is a reason that people look up to the military other than what we’re taught by Pakistan Studies and ISPR. People look up to the military because, for whatever its faults, it has displayed a professionalism and order where other institutions look messy and unpredictable. In this way, the Army sets an example for professional conduct. But part of professional conduct is accountability, and its here that the military has a unique opportunity to set an example if only they will take it. 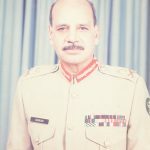 Asghar Khan case has proven something of an embarrassment for the military that does not like to see its dirty laundry washed in public view. Already this week we have the like of Ahmed Quraishi clumsily trying to justify security agencies secret payments to political parties as innocently trying to “financially strengthen political parties by a decade of military rule”. Such amateur propaganda is amusing, but when officials push back against Supreme Court proceedings, it takes a different tone. 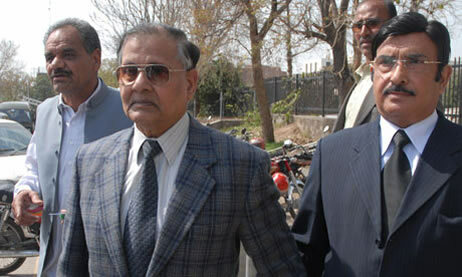 Gen Kayani criticised Mehrangate proceedings saying that the allegations could undermine national institutions and prove detrimental to the country. With due respect to the Army chief, I would like to offer an alternative analysis. Talking to a group of senior journalists at PM’s House, Gen Kayani noted that “I took a conscious decision four-and-a-half years ago not to take part in politics and since then the army has stayed away from politics and I stand by my decision and will stick to it.” I take him at his word. But the Asghar Khan case is not about what is happening now, it is about what took place years ago. To this, the COAS “stressed the need to avoid fighting with history but to keep an eye on the future while staying in the present”. I don’t think we should dwell on the past too much, either. But I do believe we have to learn from our past mistakes so that they are not repeated. Part of that is openly investigating past mistakes so that there can be a public record that dissolves conspiracy theories. Another reason is so that clear standards can be set for the present and future. And there’s a third reason, too, that should not go unconsidered. By holding its own officers accountable for their mistakes, the military can set an example for other institutions and society as a whole. If the military is the most competent institution and it allows bad actors to get away with meddling in politics and manipulating elections, what is to stop anyone else from following suit? When Gen Kayani insists that Army no longer meddles in politics, this should be celebrated as progress in our democracy. But if he covers up for past political meddling, it will be only natural that a doubt lingers in the minds of some. By holding military officers to account for acts that he has declared as unworthy of the Army, the respected Army chief will prove his standards not only in words but in actions also. Today, Army is used constantly as an example of professionalism, order, and merit. 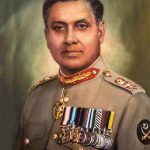 While other institutions and society as a whole wrestle with issues of political and professional accountability, the Asghar Khan case gives the military an opportunity to set an example here, too.